So I am trying to be a little more animal-friendly when it comes to my eating habits at home (blog post explaining further coming sometime soon). 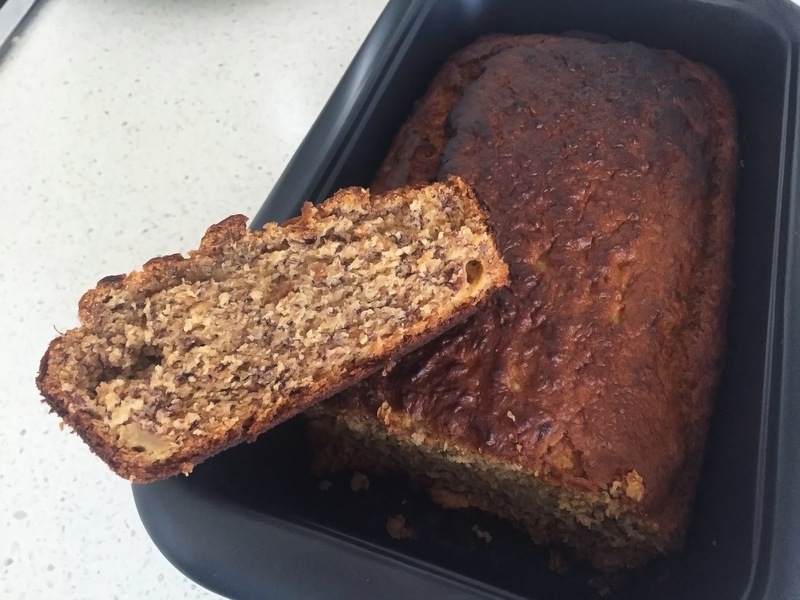 So recently when I really felt the craving for banana bread I thought, why not make it myself and why not make it vegan? Then I figured I could share it with you guys. This recipe is a combination of a few different ones that I found on the Internet and squished together myself. I promise it is tasty and really simple. 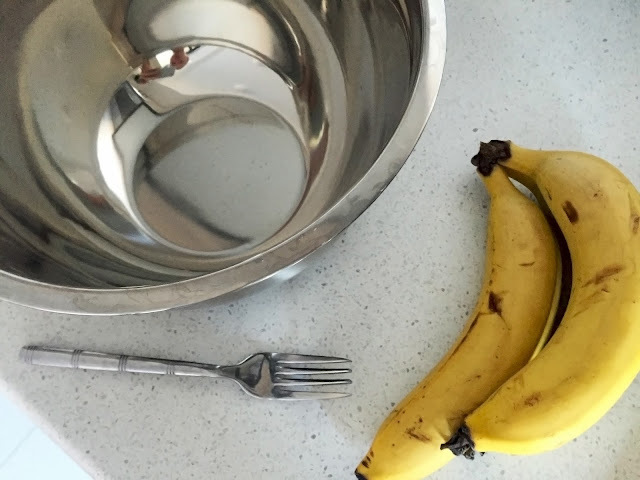 Peel and place the three bananas into a big mixing bowl and mash them up with a fork. Measure out and add in all the ingredients, mixing them as you go. Here I'd like to give a shout-out to a kind of sugar-alternative product I found in Woolworths last month - coconut sugar. We all know sugar, particularly the white kind, isn't the best for our bodies, so when I saw this product in-store I had to give it a go. Sure it's not the cheapest, but as I live by myself and really only ever put a small teaspoon into my tea each morning and a protein smoothie every other day, this stuff has been lasting me quite a while. 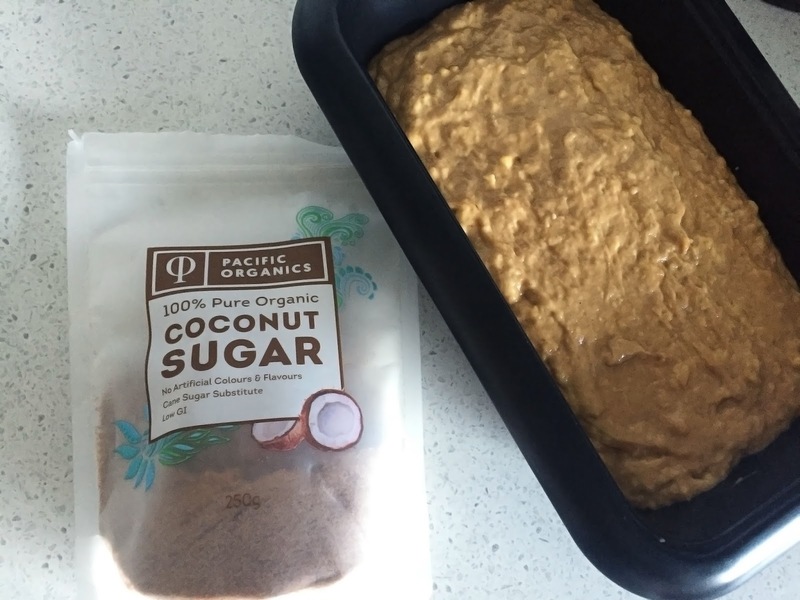 What I love most is when you turn over the pack to read the ingredients there is only one thing listed; 'Certified Organic Coconut Sugar (100%)'. My body feels better just looking at the packet, which is also resealable and I think looks quite appealing, so I don't mind having it sitting around. FYI, nothing about this is sponsored or anything, I just love the stuff and really wanted to share. Grab a baking tray and either line it with baking paper or give it a good spray with oil or grease with butter to prevent the bugger from sticking to it. Place all your mixture into the baking tray. Pop it in the oven for around 15 - 20 minutes. I find the best thing to do is just watch it and when you see the top start to turn golden brown, it's probably getting close to done. Some recipes I read said to leave the bread in for 40 minutes, but my oven gets super hot so I didn't have to bake mine for long. Quick tip: if the top of the bread starts to turn brown but it hasn't quite cooked all the way through, pull it out and place some foil over the top to prevent it from burning while it finishes off baking. Once down, grab it out and give it some time to cool. And there you have it! A super simple, quick and vegan-friendly banana bread that I promise tastes just as good as anything you'll pick up from a store. Yum! Bananas are the best! I need a loaf pan like that to make bready stuff.